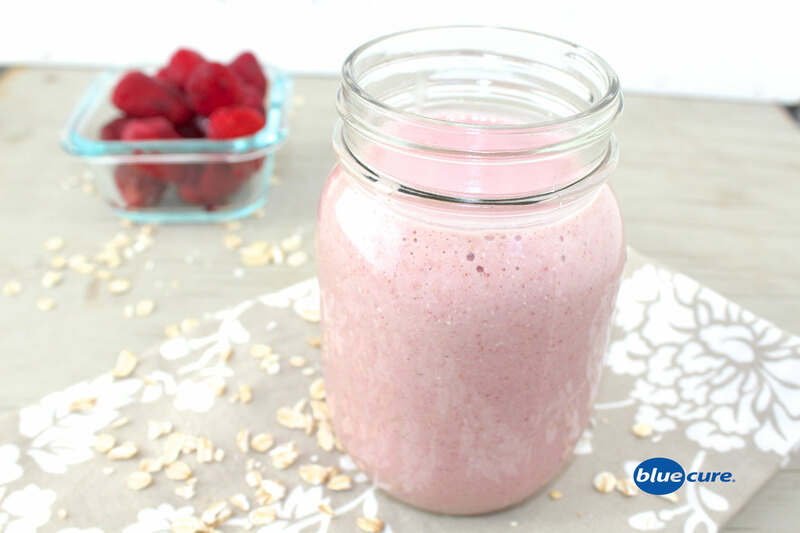 Here’s another great way to add more whole grain oats to your routine— add them to a smoothie. Not only does it boost the amount of beneficial fiber to the smoothie, but it also contributes some protein. If you are drinking smoothies for breakfast, adding oats makes the smoothie a more balanced and filling meal. You could also add some nut or seed butter or flax seed to add some healthy fats. Note: You could also experiment with adding 1-2 Tbsp Nut or seed butter (e.g. cashew butter, sunflower butter) or 1-2 Tbsp ground flax seed or chia seeds. First blend oats until like flour. Then add all the other ingredients and blend until smooth.